Hi folks, I'm trying to make Noesis script to import animation. I have achieved some success, but the animation still loaded not correctly. Maybe someone knows what's the problem? Can't check it because I don't have paa files. and compare the results with yours. My script based on Marisuz script. shakotay2 wrote: and compare the results with yours. Unfortunately the result is very different. I used shorts divided by 65535 instead of half floats and the walking anim looks better (a little bit like a spider , but it walks). The results obtained , except paa. Do the tools used for extracting .paz exist anymore? if so, could someone please pm me?! Is anyone able to upload the armor files? I don't have the game, and would really, really appreciate it if someone could! Thank you if anyone responds! Skykila wrote: Hi folks, I'm trying to make Noesis script to import animation. I have achieved some success, but the animation still loaded not correctly. Maybe someone knows what's the problem? this script is error for "not found Utils.SkyUtils "
Hopefully someone can advise how to import animation files properly. 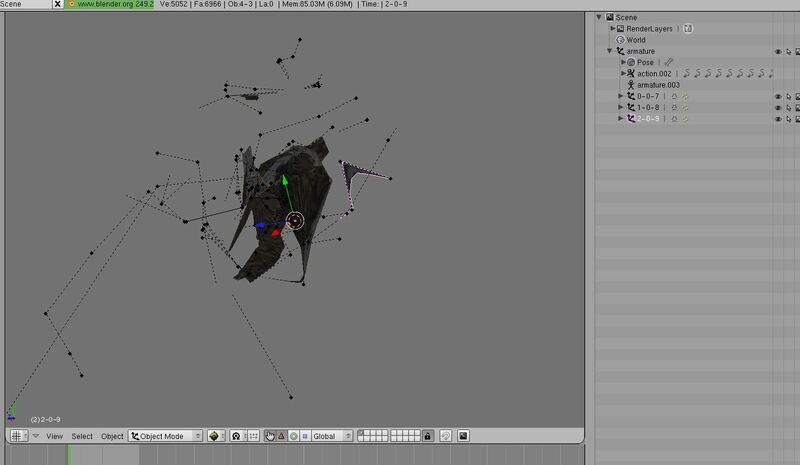 I'm using blender 2.49b and python 26, using the script from Szkaradek123 I can import pac and pab files and all looks ok but when importing paa files I end up with a broken mesh that looks more like a spider than a human. marmalade wrote: Hopefully someone can advise how to import animation files properly. 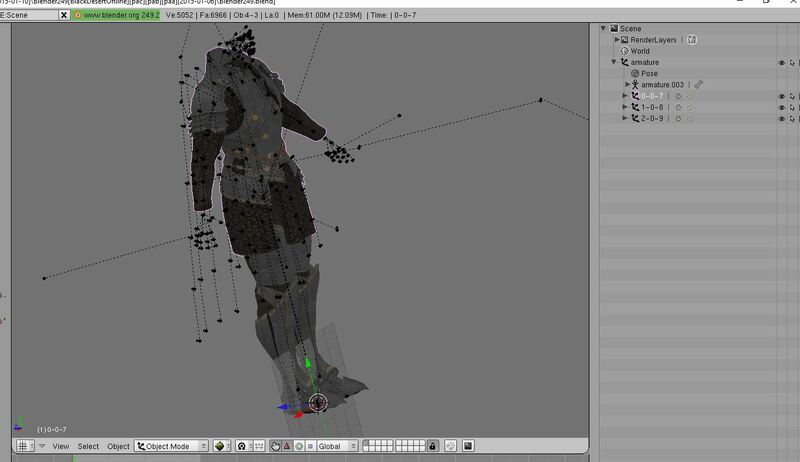 Same issue here...Anyone who has already successfuylly imported PAA animation, can you pls help. Seems it's a matter of the blend-file version.